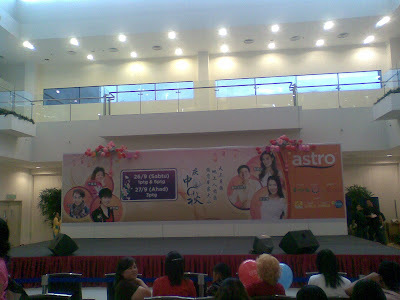 Just a little update on the recent events in Kuching that we had attended. 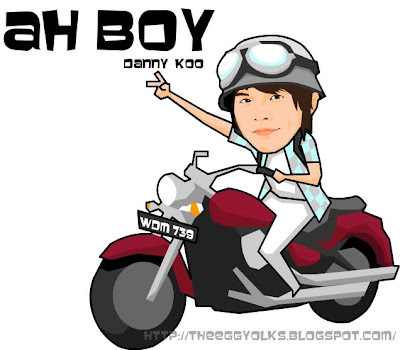 The event was followed by Danny Koo (a.k.a Ah Boy). 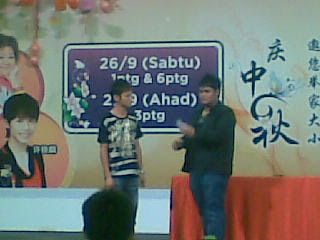 He got famous recently because of his hosted tv show "Motosikal Balik Kampung". 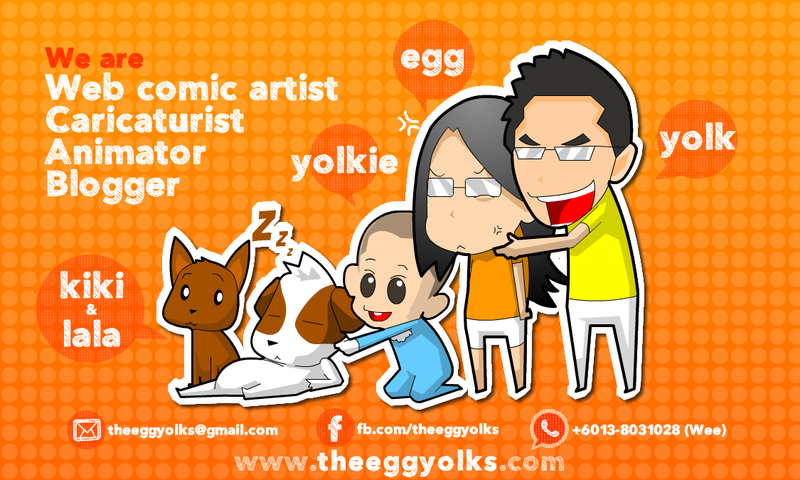 Both of us (egg & yolk) were ah boy's fans because of his cute personality! 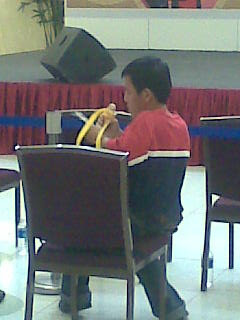 It was fun to see him travels around Malaysia with his motorbike. So we did a special caricature for him. 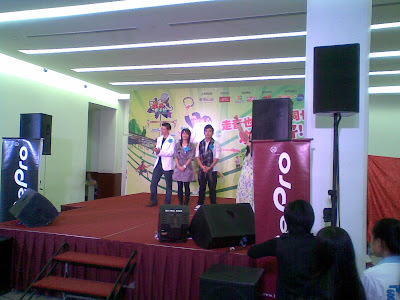 After that, the two winners of Astro's Classic Golden Melody Singing Competition (Ivan & Hong Geok Jin) performed few classic songs. They looked so young as if they were in their 30's. 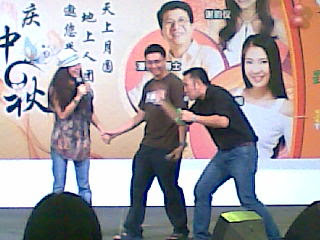 Hong Geok Jin sings while captured by a strange short man -_-"
"It's him again!" exclaimed yolk when he saw that Little Man (LM). 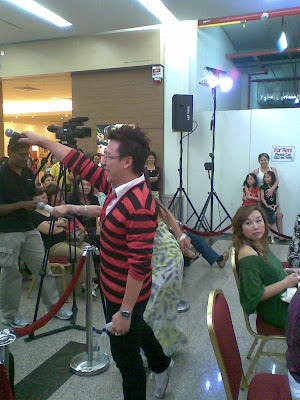 We saw him in almost every event in Kuching, especially those events where free gift were given. You can find him in our previous post here. 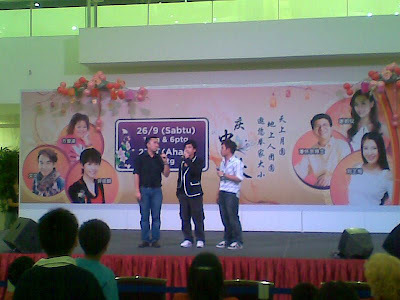 The peak of the event started when the 2 well-known MediaCorp artistes came to the stage. 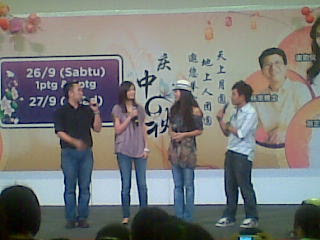 Both Jessica Liu & Michelle Chia were so pretty in real person. 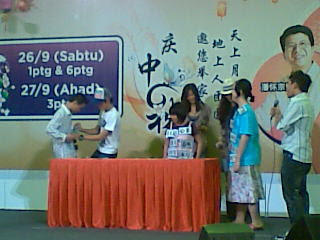 They played some games with the audience and free mooncakes were given out. 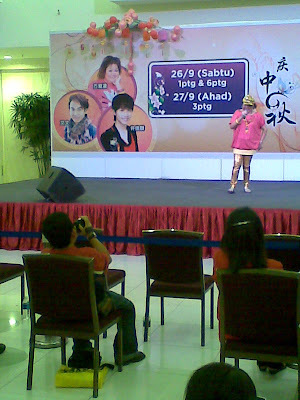 Anyway, there was another event in Boulevard Shopping Mall on the 3rd October. 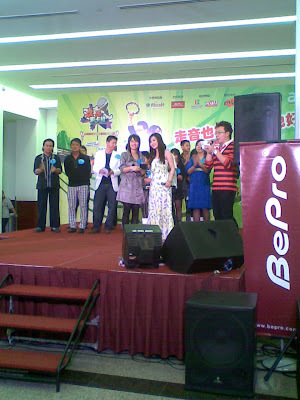 It was the 欢喜来卡拉 (hokkien karaoke competition) organised by Astro and hosted by Phoebe and Jentzen. Actually , we are watching the shows on ch333 every sunday. It was the final for the Sarawak region. 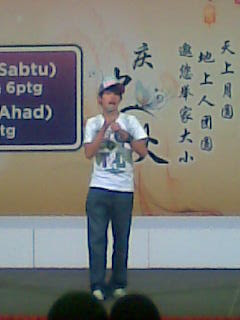 3 of the best singer will represent Sarawak to compete in Klang with the other competitors through out Malaysia. Before the top 3 were announced, both Phoebe and Jentzen had some "ice breaking" activites with the audience (you know lar..Sarawak people all shy shy one). And the winner goes to Mina! Congrats!